LEXINGTON, Ky. (Feb. 26, 2018) â" A new exhibition organized by University of Kentucky Libraries Special Collections Research Center explores the conflict felt in the Commonwealth during the Vietnam War. 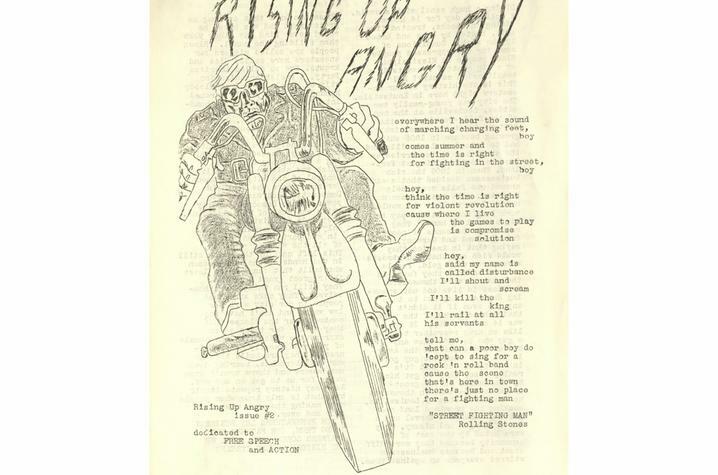 âRising Up Angry,â which is presented in coordination with a new history course at UK, is on display through April 6, in the lobby of the Margaret I. King Library Building. The exhibition is free and open to the public. 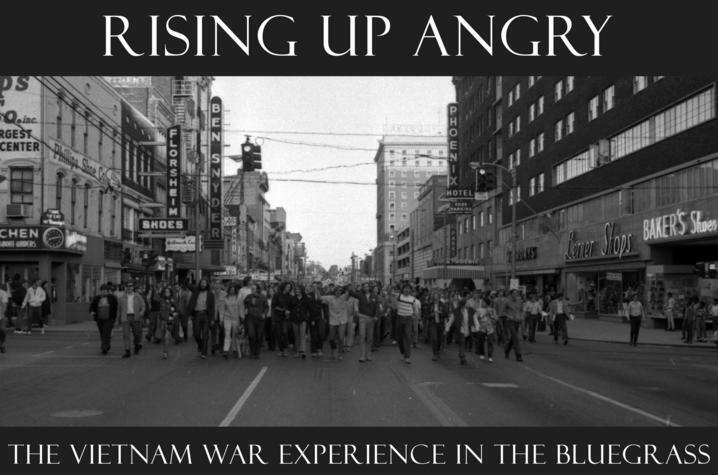 âRising Up Angryâ features 50 images, articles, newspaper clippings and other items reproduced from materials held at the UK Special Collections Research Center (SCRC) that capture the feelings of controversy, passion and resolve shown by Kentuckians during the Vietnam War. The exhibit dives into the turbulent time in history where speaking up about what you believed in became a social norm across the United States. SCRC archivists developed the exhibition at the request of Alumni Professor of History Emeritus George C. Herring, who teamed up with UK doctoral ca ndidate Cody J. 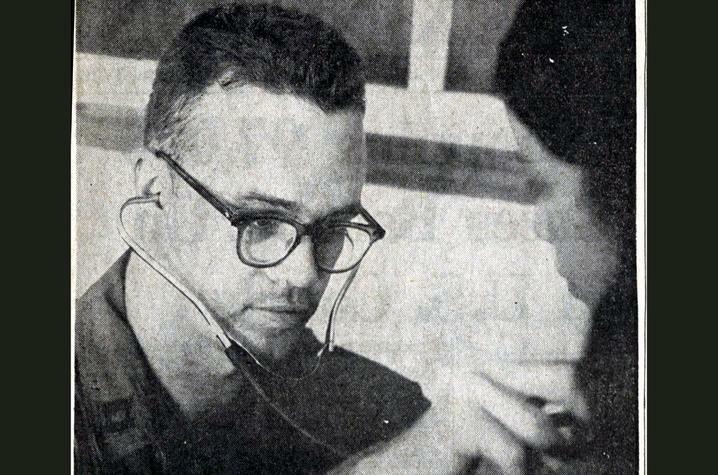 Foster to teach HIS-351: The Vietnam War, a course examining the origins, evolution, conclusion and aftermath of the war. Strandmark asked Riley Cantrall, SCRC education graduate assistant, to curate and choose the content for âRising Up Angry.â In designing the exhibit, Cantrall tried to show the impact and influences of the Vietnam War from multiple perspectives, including showing students what UK was like during that time. 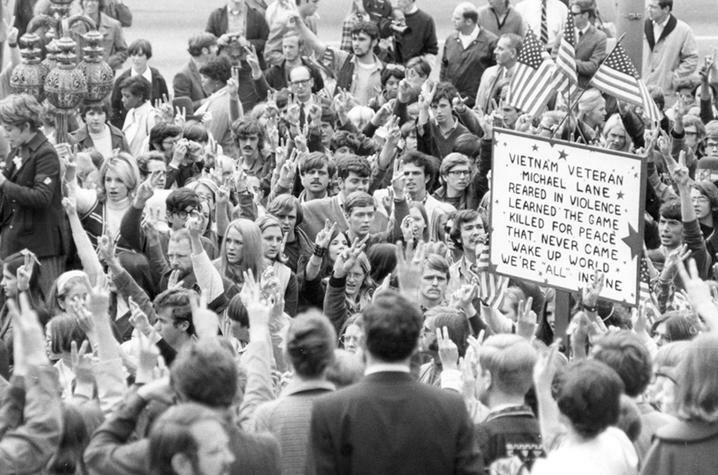 A recent contribution to UK Libraries SCRCâs collections, video taken by witnesses to Vietnam War protests on campus and around Lexington, is also included in the exhibition and provides a rare glimpse into the history of these turbulent times. Cantrall and Strandmark hope that all visitors to the exhibition will come away with a better understanding of the Vietnam War and the challenges, passions and conflict wrapped up in that period of hi story. âWe also hope that students, in particular, will learn more about what life was like for students on campus and in Kentucky during a period of American history that is truly vital to understanding our national, regional, and state identity,â Strandmark added. âThe American Legacies of the Vietnam Warâ with Christian Appy, professor of history at the University of Massachusetts, 4:30 p.m., April 19, in the Young Library UK Athletics Auditorium. The SCRC at UK Libraries sustains the Commonwealthâs m emory and serves as the essential bridge between past, present and future. By preserving materials documenting the social, cultural, economic and political history of Kentucky, the SCRC provides rich opportunities for students to expand their worldview and enhance their critical thinking skills. SCRC materials are used by scholars worldwide to advance original research and pioneer creative approaches to scholarship. UK Libraries SCRC is the Archives, the Louie B. Nunn Center for Oral History, the King Library Press, the Wendell H. Ford Public Policy Research Center, the Bert T. Combs Appalachian Collection, the John G. Heyburn Initiative and ExploreUK.